We have received innumerable thank you notes, emails, referrals, and even thank you pizzas in the past. Today we received an exciting package from Mark Bent, CEO of SunNight Solar and creator of the BoGo Light, as a result of the excellent customer service that Shawnie on our Customer Care team provided for him. The really cool part is that from our perspective, this was a totally normal, everyday customer interaction. 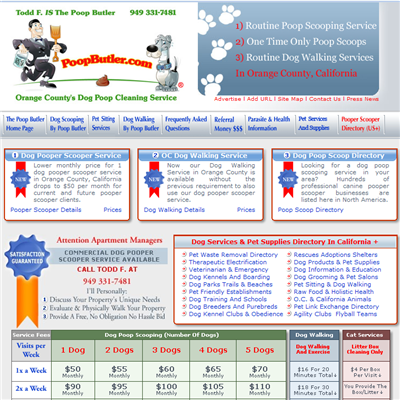 The experience was simple, quick and painless – an easy email exchange and obvious next step. It’s too often that we take for granted that even this basic customer service is EXLEMPLARY compared to the majority of companies out there. …who completely resolved the concern without any further steps needed? Sounds simple, but without a quality team, awesome infrastructure (i.e. Email Center Pro for shared email management), and empowerment to make decisions, performing at this level is simply not possible. 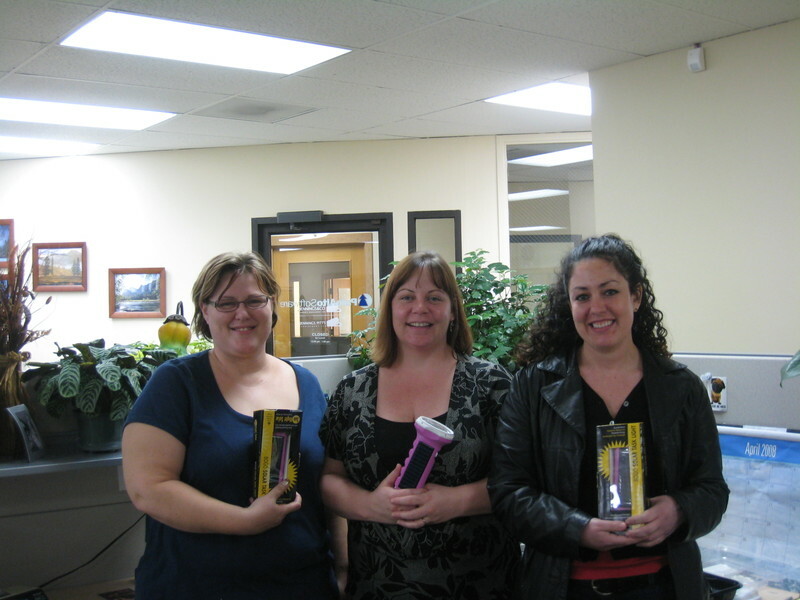 Thank you for the Solar Flashlights, Mark! I posted the other day about unlikely businesses, like the small repair shop here in Eugene that specializes in fixing electric shavers. This business is exactly as sophisticated as it sounds. The pitch is made, loudly, by employee #1, a teenage kid with a microphone, and it's dead simple. 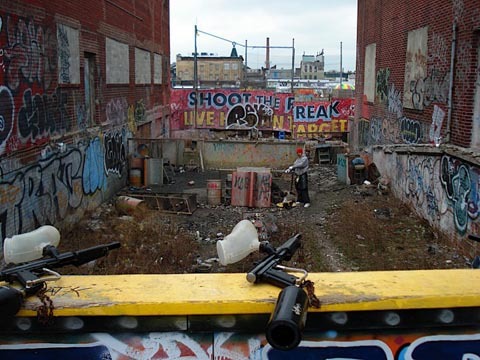 Pay $5 and get 15 tries to shoot at employee #2 with a paintball gun. Are you not tempted by this? Then you are clearly not my teenage son, who rushed to part with his money and happily took his shots. Beyond the novelty of the offer, what's remarkable to me about this business is its economy. Seriously, is there a lower-cost startup idea out there? Coney Island is still miraculously decentralized, a sort of anti-Disney playground. Every ride, game, and concession is its own independent business. One guy owns the Tilt-a-Whirl, another the bumper cars, and each one has its own ticket booth. Not to read too much into this admittedly dodgy business, but isn't this the essence of small business success: find an audience (13-year-old boys) and give them what they want (to shoot paintballs at strangers, apparently)? Nice and tidy. And it makes a good story when you're done. I get excited talking to entrepreneurs. Small business owners have a certain level of passion about what they're doing that is infectious to everyone around them. There's a glint in their eyes that shows the hunger they have to share their idea to as many people as possible. It's so great to watch other people get excited by their enthusiasm and sheer joy of making a difference in the world. This morning I spent some time looking through the Yahoo! Small Business website which has a video section dedicated to entrepreneurs and their stories. There are five video's there right now, stories of how the business started, or grew, the best and worst things about growing their business. Fascinating stories, and great advice. I really enjoyed watching them and it reminded me of how many stories there are out there, none of them the same. If you have a story you want to share about your business, please get in touch with me! Comment here with your story or send it in an email to blog (at) bplans.com. I would love to help you share your struggles and triumphs with your business. I'm looking forward to hearing from a lot of you! When I was a kid, too young to legally have a real-grown-up wage-earning job, one of my household chores was cleaning up the back yard after the family dog. Come to think of it, as an adult it was still one of my household chores. My octogenarian mother has moved from her sprawling house into a retirement community and still has her dog. Someone needs to clean up the grounds, and I can't travel 2,500 miles every week to do it. Where once there were only neighborhood kids doing chores or making spare change to buy candy, there are now hundreds of similar businesses across the country, ready and willing to clean up this dirty niche market. Plenty of job security too. And the idea isn't that new, either. Robert A. Heinlein wrote about the handyman class gone corporate in his 1941 story --We Also Walk Dogs. So don't be dissuaded from pursuing an unlikely business idea. Do your research, write your business plan (to be sure you've covered the details) and start up your business. Business is picking up! BIG blog reader Jacqueline Emerson gave me a heads up on an interesting article in LA Times. When times are good, too many small businesses take a lackadaisical approach. Sloppy practices may not be fatal to a small business when cash is flowing, but when times get tough, those same bad habits could open cracks that threaten the profitability or even the viability of a small company. You can read the rest of the article by Cyndia Zwahlen on the LA Times website. If the world at large is full of oddities (and trust me, it is), the small business world is certainly no exception. Sprinkled among the dime-a-dozen coffee shops and clothing retailers are all sorts of strange and unlikely niche businesses. 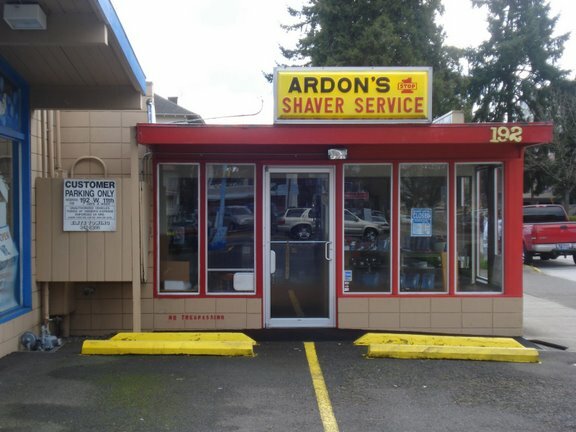 Ardon's Shaver Service, located in midtown Eugene, Oregon, between the Suds 'Em Yourself dog wash and a mortuary, has been in business for 30 years. They focus, apparently, on repairing a single commodity item that lasts for years and costs maybe $75 to replace, and they've apparently been doing this with enough success to continue doing it for decades now. Perhaps there's more a business here that I would think: a quick Google search for "shaver service" finds ElectricShaver.com (in business since 1939), the Shaver Service Center of Austin, A-1 Appliance & Shaver Service in Raleigh, and lots more. Maybe it's time to add a shaver service business plan to our free samples. Got your own favorite example of an unlikely business to share? Let us hear about it in the comments. The latest series of The Apprentice commenced on BBC 1 on Wednesday last (March 26, 2008) with the latest batch of candidates seeking to work for Sir Alan Sugar, founder of Amstrad. While the programme is both entertaining and dramatic in equal measure, it also provides a wonderful insight into teams, team dynamics, and how pressure can affect performance. In the latest episode it also demonstrated some of the pitfalls of failing to plan adequately. While readers in the U.S. will be more familiar with Donald Trump’s series I feel it is nonetheless worthwhile describing a recent episode from the U.K. given the universality of the lessons. The first episode commenced with a relatively simple task. Each team was given a van with £600 ($1,200) worth of fresh fish to sell, with the winner being the team who managed to sell the most. The outcome was sheer pandemonium however as both teams of (apparently) very well educated participants contrived to make mistake after mistake (particularly the men’s team). These included everything from incorrectly labeling the merchandise, i.e. the seafood, to selling it at unprofitable price levels, to deciding a legal firm would be an appropriate customer for £130 ($260) worth of fresh fish. Did anyone of the team not think a restaurant might be a better target? So what were the key lessons? This task was, in essence, a high speed version of operating as a fish monger. However, certain elements were already dealt with, e.g. sourcing the fish, wholesale pricing, delivery, etc. A basic tenet of any Business 101 is to ensure that the price charged to the customer contains a sufficient margin. To get this wrong (an error that was compounded by incorrectly identifying the fish) was unbelievable. I am not advocating that they should have produced a fully fledged business plan. However, a discussion planning how they intended to maximize their revenue (price x quantity) would surely have focused their minds on the importance of price in the equation. After all, selling countless numbers of lobsters at £5 when they should be closer to £15 is inexcusable. There were extensive resources they could have called upon, ranging from online research to calling into a fish monger at the start to establish current market prices, but these were all overlooked initially. While the women’s team did break up into groups, there was ineffective delegation in the men’s team. There was no faulting the energy and commitment, but the old adage rang through ‘fail to prepare, prepare to fail’. Had the teams identified the most important factors (margins and break-even points), delegated tasks effectively, and planned a strategy, things would have gone a lot more smoothly. Instead, we witnessed a sea of confusion which may have resulted in great entertainment but sadly exposed these apprentices as truly living up to their titles. Just because a person says "Being egzpurt I am" you shouldn't simply take them at their word. I hate to be mistrusting of people, but as one of my favorite aphorisms says, "Just because you're not paranoid, doesn't mean they're not after you." We start our businesses wanting to do what we like and know best. However, that startup also requires us to deal with many other facets of business which we know nothing about. So we hire consultants and soi-disant experts to help us over the rough spots. When you hire those consultants your business is at risk, so do your due diligence. Ask for references, and then call those references and ask as many questions as you can. Take a few minutes to run an Internet search. Don't forget to search for negative reviews as well, and if you can, follow up with those folks as well. Ask your friends and other professionals. You can't be too careful. Yes, there are plenty of honest, trustworthy, efficient and competent consultants and experts out there, and they contribute immensely to the success of many businesses. And there are lots of frauds as well. In the 1990s I worked for a short time for a particular company. They were successfull and popular, and wanted to expand and grow. They hired a consultant who presented a long list of clients. He quickly convinced the owner to make him the general manager. And the organization crashed within two years. It turns out this expert's long list of "clients" was a recounting of all the businesses who had hired and then fired him. The employee who discovered and reported this creative reframing of the expert consultant's work experience was canned soon afterwards, and the company continued its death spiral. In the end, the company owner woke up to the unhappy truth, and the expert consultant had one more "client" to add to his list. The company survived, but after a decade, has not, to my knowledge, recovered to its prior level of success. Avoid the doo-doo and do do due diligence. If you follow the Duct Tape Marketing blog, you'll know that one of John Jantsch's core strategies for small business marketing is to define your ideal customer. Today he turns that notion upside down and asks readers to define who you don't want as your customer. This is good advice. In fact, turning customers away can ultimately grow your business. Although this sounds counterintuitive, let me explain. Honesty goes a long way. When you turn away a customer because you don't think that you can serve them well, that customer is going to know that you are honest. Most likely, they'll actually tell others about your honesty. Instead of taking on a job where neither you nor, ultimately, your customer is going to be happy and satisfied, you just created a reference account for your honesty and credibility - for free. Satisfied customers spread the word. When you take on a new customer or client, you want them to be happy. You want them to be thrilled with the work that you do or the product that you sell. If you know upfront that you will not be able to satisfy a given customer, let them know. There's nothing worse than an unhappy customer as these customers tend to spread the word about their negative experience. According to a Wharton study (free registration required) at least 31% of people who have negative experiences spread the word. You can turn these into neutral or even positive experiences if you make sure you can deliver what your customer wants. Problem customers drain your time. Not only do problem customers generally take up much more of your time than happy customers, they probably don't pay as well either. Often times you'll find that you have to work harder and produce more to keep an unhappy customer than you do to keep a happy customer. Compound that with the stress of running a business with unhappy customers and you are not setting yourself up for a good growth path. Find alternative solutions for these customers ASAP and start figuring out how you can grow your business with satisfied customers. Customer referrals are the backbone of most small business marketing (and big business, for that matter). Making sure that you are bringing on customers that you can keep happy will grow your business much more over the long term than going for the quick buck and saying "yes" to everyone. I've done it, you've done it. You're rushed to get something done or you just don't look at the return address and hit reply and send on a highly sensitive email. Never really seeing that the email address said "do not reply" So where does it go? Well, if the company is smart, they've configured the address to be donotreply @ their company .com but unfortunately, some companies don't realize or are sloppy and tag donotreply.com at the end of it. So, those emails won't actually go back to the company that sent them, nor do they disappear into the email neverland. Chet Faliszek says he bought the domain back in the sweet bubble days of yore when that kind of real estate meant potential big bucks later. He had no idea the mass of emails he would start receiving and the sensitivity of them. Since Merrill Lynch doesn’t even bother to tell people not to reply to the emails, and the emails are either telling people they have lost the right to sell insurance, or they are about to… I have plenty of private replies. None of which will ever get to anyone at Merrill Lynch to help them with their problem. Amazing. And chilling. Read through some of the other instances of how a simple @unknown.com or @donotreply.com on your form, canned or auto responses can expose your business to all kinds of trouble. The BIG Blog offers commentary on startups, small business, business planning and growth strategy. Learn more about our blog authors.